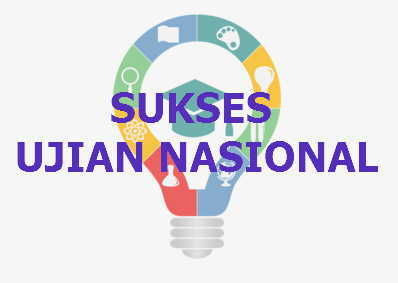 Ujian Nasional tingkat SMP/ MTs akan dilaksanakan sebentar lagi. Hampir semua satuan pendidikan pada tahun ini melaksanakan UN melalui Moda Ujian Berbasis Komputer (UNBK). Namun hal yang terpenting pada pelaksanaan ujian nasional sebenarnya bukanlah moda pelaksanaan melalui sistem UNBK akan tetapi pada tingkat komposisi kesulitan soal dengan asumsi soal- soal bertipe HOTS akan lebih banyak lagi diterapkan dibanding tahun- tahun sebelumnya. Para siswa tentu sudah mempersiapkan jauh- jauh hari, mempelajari dan memahami bentuk- bentuk soal level tersebut. Banyak referensi yang terupdate melalui buku, ujian online, try out ujian sudah menerapkan tingkatan soal tipe HOTS sehingga siswa tidaklah canggung lagi atau menemui kesulitan karena telah terbiasa. Satu lagi dari blog Ahzaa tentang latihan soal bahasa Inggris untuk menghadapi ujian nasional bahasa Inggris SMP. Tentu saja, bentuk soal sudah disesuaikan dengan kisi- kisi UN 2019 dan bentuk tipe soal yang terupdate. Latihan soal ini sebagai tambahan referensi latihan dengan nuansa yang berbeda yaitu dikerjakan secara online dengan penskoran otomatis setelah mengerjakan soal. Latihan soal dapat dikerjakan melalui PC maupun smartphone adik- adik. 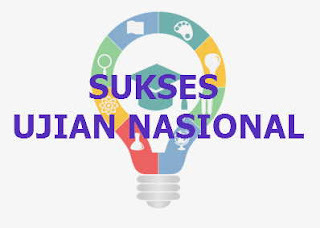 Nah, langsung saja berikut latihan soal Ujian Nasional (UN) Bahasa Inggris SMP/ MTs tahun pelajaran 2018/2019. 1. Why did the principle write that card? 2. “We are proud of your achievement”. We can infer from the statement that the principle is … with Syafira’s achievement. There may be water let inside your machine after factory tests and trials. It is recommended that the ﬁrst wash cycle should be made without any laundry so that carry out this water; pour half a measuring cup of normal all purposes detergent into compartment 2 and select cotton program at 90°C. • Discriminate your clothes according to their types (cotton, synthetic, sensitive, woolen, etc. ), washing temperatures and level of dirtiness. • Never wash your white and coloured clothes together. • Since your new coloured clothes may shed dye on the ﬁrst wash, wash them separately. • Be careful that no metal pieces are found on or in the pockets of your clothes, remove if there is any. Zip and button your clothes. • Remove the plastic or metal hooks of the curtains and laces or place them inside a washing bag and tie. 3. What is the purpose of the text? One day a king stepped out of the gates of his palace and found a man standing there. The man had a plump chicken in his hands. On seeing the king he bowed respectfully and said: “Maharaj, I gambled in your name and won this chicken. It belongs to you. Please accept it." “Give it to my poultry keeper," said the king. “Give it to my goalkeeper,” he said. Some weeks later the man was at the palace gates once again. This time he had two men with him. “I lost 500 varahas to each of these men while playing in your name, Maharaj,” said the man. “I have no money to pay them." The king realized he had made a mistake in accepting the man‘s gifts on the previous occasions. Now he could not refuse to help him. He paid off the two men and warned the gambler never to play in his name again. 8. What is the complication of the text? 9. What happened when the gamblers lost in the game? 10. In your opinion, how is the gambler? Niagara Falls is the most famous water fall in the world because of its beauty and immense size. Niagara Falls is part of the Niagara River. The Niagara is a short river, just 35 miles (56 kilometers) long. It connects Lake Erie and Lake Ontario in eastern North America. East of the river is the United States. West of the river is Canada. About halfway between the two lakes, a sharp drop in the river makes Niagara Falls. Niagara Falls is actually two giant waterfalls and one smaller one. Goat Island, in New York state, lies between the two main falls. One big waterfall, called American Falls, is on the U.S. side of the river. American Falls has a fairly straight edge. The waterfall is 1,075 feet (328 meters) wide and 182 feet (55 meters) high. A small part of American Falls, located near Goat Island, is called Bridal Veil Falls. The biggest of the two giant waterfalls is in Canada and is known as the Canadian Falls. It’s also called the Horseshoe Falls because of its horseshoe shape. The curved edge of the Canadian Falls measures 2,200 feet (670 meters) wide, and the water drops 187 feet (57 meters). The Canadian Falls carries nine times more water than the American Falls. Niagara Falls is a popular tourist attraction. Millions of people come each year to watch the spectacular waterfalls. You can take a boat trip to see the falls from below. You can also watch from observation decks above or beside the falls. You can even enter the Cave of the Winds, a path that takes you to the base of Bridal Veil Falls. Visitors must wear bright-yellow rain jackets to stay dry. Niagara Falls makes an enormous, ground-shaking roar and a huge cloud of water mist. Rainbows shine through the mist. At night, the falls are lit with colored lights, creating a brilliant display. 12. Based on the text, we know that …. 14. The word “enormous” in the last paragraph has the similar meaning to …. We are happy to announce that our newly renovated restaurant is now ready. We are cordially invite you to our grand opening of our newly renovated restaurant on March 1, 2017 at our location Basudewo Street 51 Semarang with a free dinner at 7.30 p.m. Please, confirm of your attendance by February 28 by phone (085221675434) or e-mail at Lyraresto@gmail.com. 15. Based on the text, we can conclude that …. 16. What is the writer’s objective to write the letter? 17. What is the social function of the text? 18. What does the least thing the product contain? 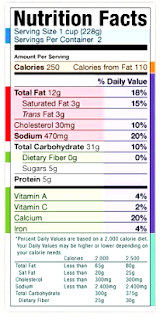 19. Who will concern with the label? It was the last day of our vacation. My sister and I were buying some souvenirs when we saw a poster for a Jay-Z concert. We tried to buy ticket but they had sold out. We were really disappointed because we had wanted to do something special on our last night. In the end, we went to a restaurant. While we were ordering our meal, Jay-Z walked in and sat at the table next to us! We told him we were big fans of him. We really wanted to watch his concert but the tickets were sold out. He felt sorry and invited us to the concert. We had the best night ever. 22. The writer wouldn’t watch the Jay-Z concert … he didn’t go to the restaurant. My daughter just told me that you gave a visit to our home this morning. I am so sorry I was not at home. I have medical check-up at the central hospital in town. I would like to ask you to have dinner next Saturday night so we can have a chat. I will be happy if you could come. 23. Why does Mrs. Diana write the message to Mrs. Emily? 24. What will Mrs. Emily do on receiving the message? I'd like to invite you for dinner to our house warming this week on Saturday at 6 p.m. Please confirm your attendance. 25. Why does Rian write this card? 26. What should Evan do after receiving this card? The word tornado is from the Spanish word tronada, which means “thunderstorm”. It is a violent, dangerous, rotating column of air which is in contact with both the surface of the earth and a cumulonimbus cloud. Cumulonimbus cloud is a type of cloud that is tall, dense, and involved in thunderstorms and other intense weather. It is a result of atmospheric instability. Tornadoes come in many sizes but are typically in the form of a visible condensation funnel. It is a funnel-shaped cloud of condensed water droplets, associated with a rotating column of wind and extending form the base of a cloud. This funnel’s narrow end touches the earth and is often encircled by a cloud of debris and dust. Most tornadoes have wind speeds, between 64 km/h and 179 km/h. Although tornadoes have been observed on every continent except Antarctica most occur in the United States. They also commonly occur in Southern Canada, South-Central and Eastern Asia, East Central South America. 27. What is the text mostly about? 28. 13. What happens when the funnel‘s narrow end touches the earth? 29. Who probably writes the text? Demikian latihan soal yang bisa adik- adik kerjakan sebagai bahan latihan menghadapi ujian nasional bahasa Inggris mendatang. Semoga memberikan manfaat dan tambahan referensi soal. bagikan bila tulisan ini bermanfaat serta jangan lupa untuk menuliskan skor pada kolom komentar.